After presenting some highlights of the evangelization of Ireland and England in the sixth, seventh and eight centuries especially noting the roles played by the popes he jumps to the nineteenth century when Pope Pius IX established the Catholic University of Ireland (1854). He first paints a picture of the foreign relations between Pius IX and various European powers. In the 1848 revolution Pope Pius IX did not appeal to the “coat-tails of Austria” subjecting the Church to Josephinism. Instead he went to exile in Gaeta, but in the end the Church gained freedom in Austria. Neither did he accept the proposal by some for him to be the political head of Italy. “He steadily refuses to accept the insidious proposal; and at length he is driven out of his dominions, because, while he would ameliorate their condition, he would do so as a Father and a Prince, and not as the tool of a conspiracy.” France, which restored him to Rome also wishes to exert its power on the Papacy but the Pope would not bend. Newman writes: “The Pope refuses to subject himself to France, as he had refused to subject himself to Austria.” In the end Catholicism also experienced growth in France. Once again Newman praises the vision of the future, independence in policy and vigor in action characteristics of the Popes. 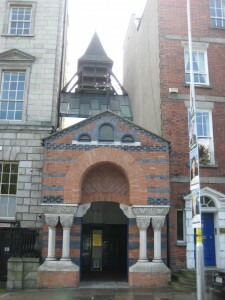 With this in mind he is reassured by the Pope Pius IX choice of Ireland as “the seat of a great Catholic University, to spread religion, science, and learning, wherever the English language is spoken.” He is confident that despites difficulties, disappointments and delays the work begun at the Catholic University of Ireland will bear good fruits. Newman, who was rector of the University for only a few years until 1858 could not foresee that it would be incorporated by a National state university in 1911. Nonetheless the vision of Catholic education of Pope Pius IX and Newman’s achievements in Ireland, are praiseworthy and continue to inspire many, particularly through Newman’s writings on university education.